If you are in need of Prescription Refills, in order to expedite your requests, please CONTACT YOUR PHARMACY FIRST. We will no longer accept requests over the phone unless you are calling for a written script for Offutt AFB, a mail-in pharmacy or narcotics. In order to refill a prescription through our office, our providers require that your lab work is current and that you have had a physical within the last year. 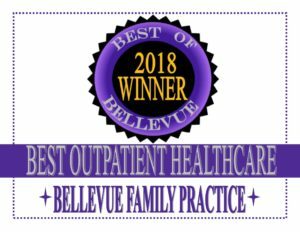 In order to provide you with the best care possible and for the sake of your overall health, we do not make exceptions. We cannot refill a prescription if you have not been seen for an appointment by one of our providers within the last year, and in some cases even more recently. Certain diagnoses may require follow-up blood work in the lab every 3-6 months. WE DO NOT DIAGNOSE OR TREAT SYMPTOMS OVER THE TELEPHONE! Therefore, we WILL NOT call in a prescription without the patient being seen in the office. Please allow 48-72 hours for all refill requests. Due to the number of patients we see and the high volume of phone calls we receive on a daily basis, sometimes we can get a little behind. We will work vigilantly to get your refill processed within a timely manner. If you are in need of a medication change, you may be required to schedule an appointment to discuss this with your provider, regardless of the last time you were seen. If you were seen for an injury or any other matter that required a prescription for pain medication, before any refills are obtained, your provider may require that you be seen in the office for re-evaluation and/or to sign a pain contract. A pain contract is a mutual agreement between patient and provider that prevents misunderstandings by either party about the use of controlled substances for pain management.